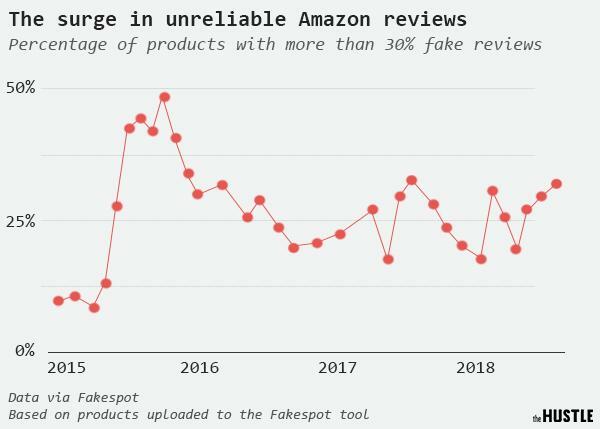 A two-week investigation by The Hustle‘s Zachary Crockett into the seedy underbelly of Amazon’s “fake review economy” reveals rampant fraud – primarily from shady Chinese sellers bribing buyers for positive reviews. Crockett notes that while 82% of American adults check product reviews prior to making a purchase, just 65% of people trust them. Meanwhile, most people are swayed by the stars alone – vs. actually reading what people write about a product. According to e-commerce metrics firm Feedback Express – 1.8 million vendors and sellers generate around 9.6 million product reviews every month on inventories of nearly 600m items. 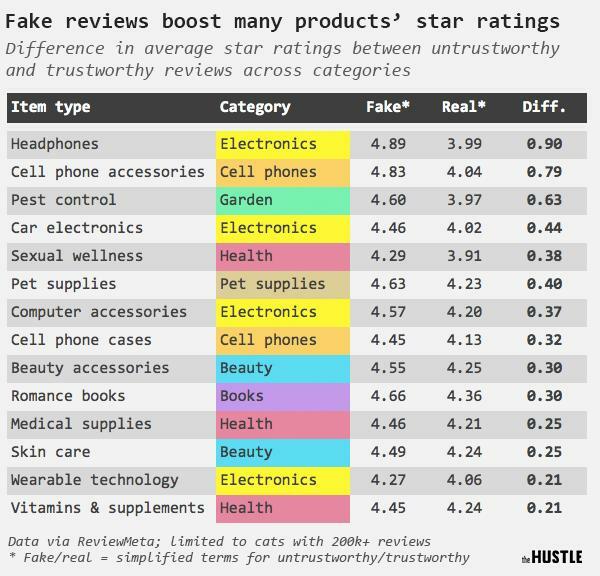 Another website tracking fake Amazon reviews, ReviewMeta, was founded by bodybuilder Tommy Noonan – who noticed what appeared to be a gamed product while shopping for testosterone boosters. 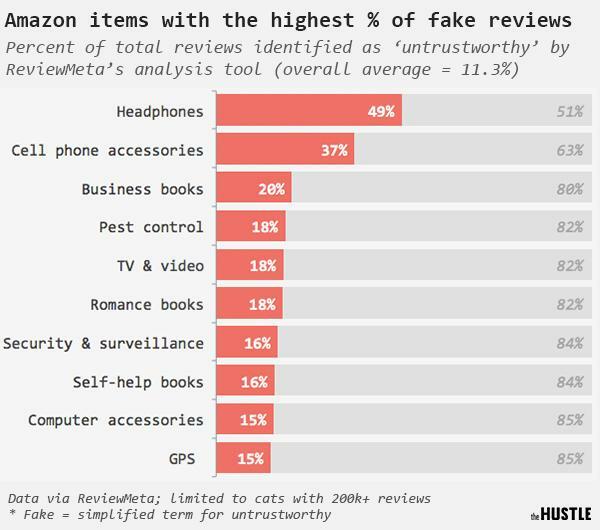 Amazon, meanwhile says that “less than 1%” of its reviews are fake, and has cautioned against trusting the review sites. 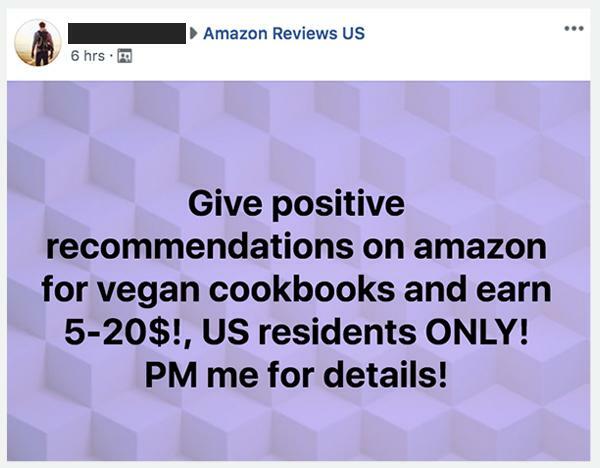 Crockett’s journey into the seedy underbelly of fake Amazon reviews turned up over 150 private Facebook groups where sellers openly exchange free products (and in many cases, commissions) for 5-star reviews. “A sampling of 20 groups I analyzed [which I’ve posted publicly here] collectively have more than 200,000 members. These groups seem to be in the midst of an online Gold Rush: Most are less than a year old, and in the past 30 days have attracted more than 50,000 new users,” according to the report. 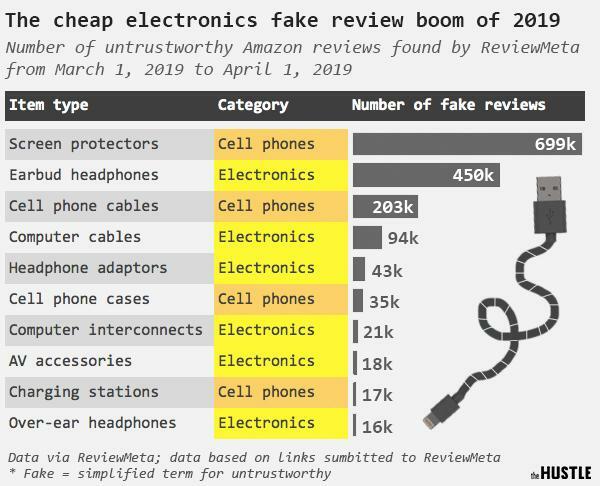 “Make sure your reviews don’t sound overly fake and make sure you review other items too, not just from Chinese sellers,” cautioned Araceli Morales – who has left 112 5-star reviews for Amazon sellers via Facebook listings. “Never write ‘love'” be continued. 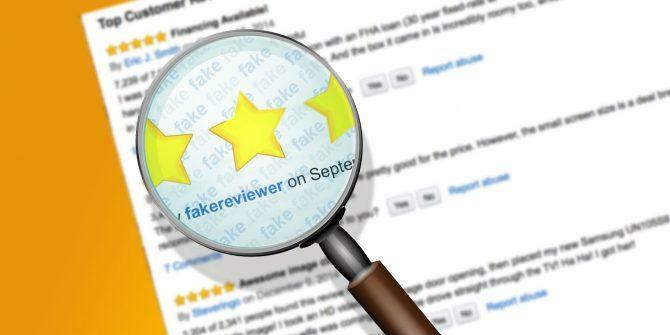 One stay-at-home mom from Kentucky says she makes $200 – $300 per month leaving fake reviews. “Do you actually like the products?” asked Crockett. 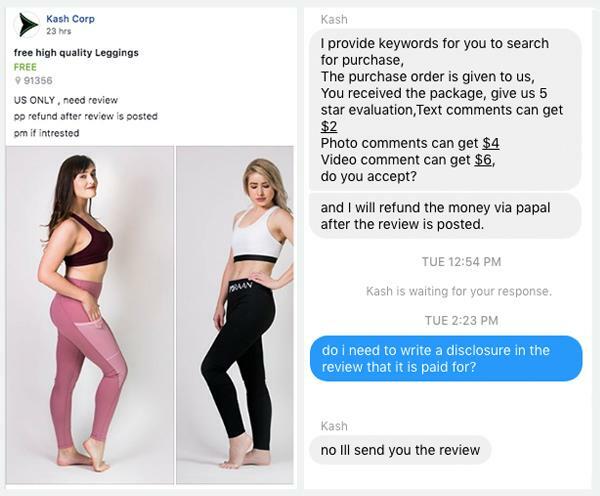 “It’s part of a promotion…it’s a long-term process,” says Kash Corp – a seller of hot pink women’s leggings that offered Crockett a $6 commission for a pre-written review – despite the fact that he’s a man. Unsurprisingly, the highly rated Chinese items aren’t exactly top quality. 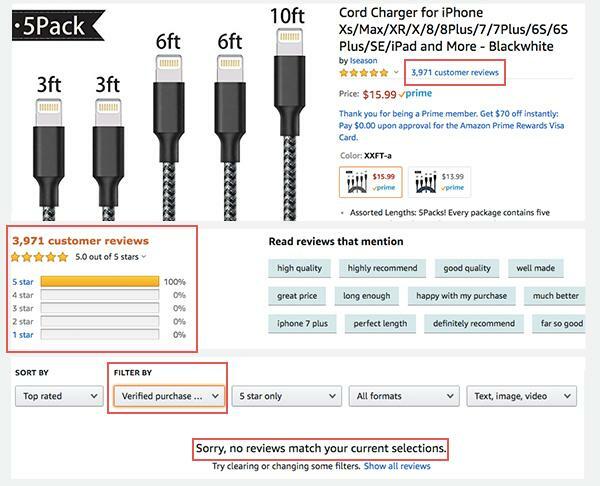 Crockett cites a three-pack of phone chargers for $13.99 which claimed to be of the “highest quality” – and were offered for free in exchange for a 5-star review. After the review was posted, the seller offered $10 more. The second cable caused Crockett’s phone to get too hot due to a voltage irregularity. 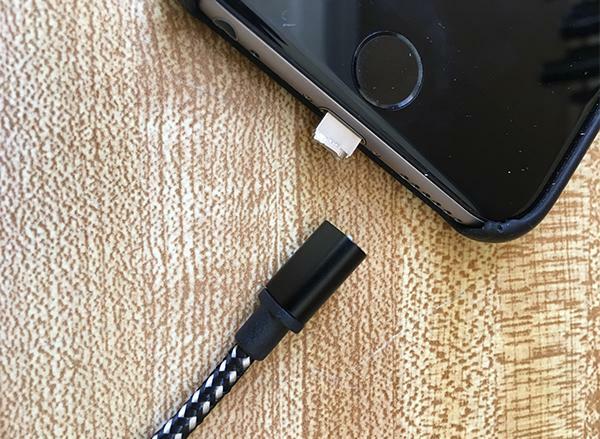 The third charger was apparently a charm. As a result of The Hustle‘s investigation, Facebook says that it frequently takes down fake review groups – though none had been removed as of the article’s publication date.